She is currently working on completing her Immortal Rose trilogy, a prequel to her Arotas novels. 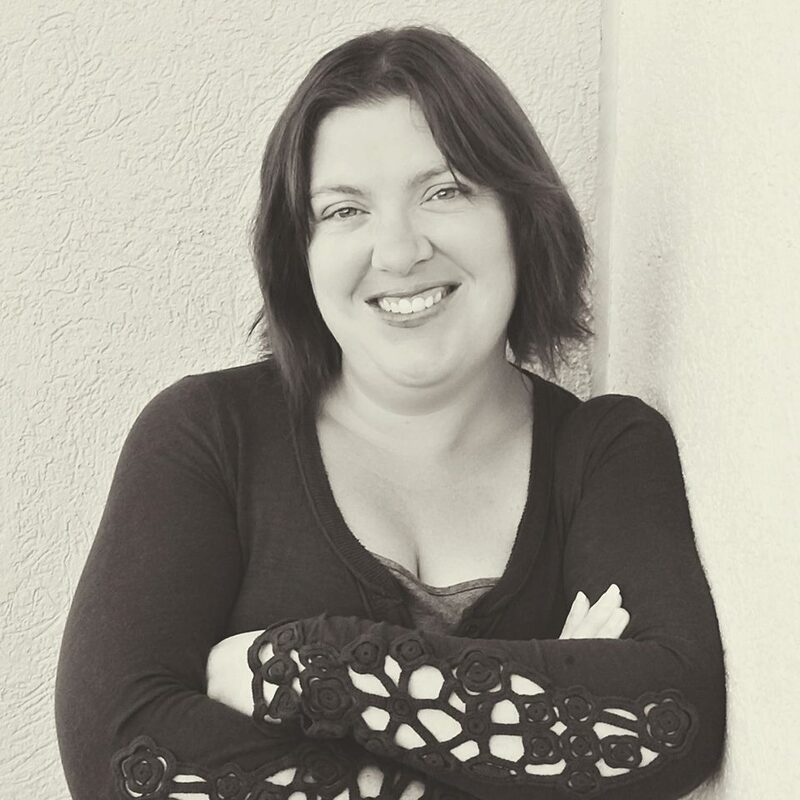 She has also embarked on two new journeys this year, one in the form of a co-written banshee trilogy, The Hallowed Realms, which is currently represented by GH Literary and she breached another genre with her upcoming adult horror novel, Wither. She even has this awesome book trailer to give you goosebumps. I think most authors will tell you that they’ve always know they would be a writer. Its in our blood. We write because if we don’t, bad things could happen haha. Being an author is a different story. It was always a dream of mine, but until the indie world began I never really held out much hope of standing out in the traditional world. I’m very thankful for the opportunity this new indie community had allowed for my family and I.
I’m one of those writers who loves too many genres to be labeled by one. I started out with my Arotas Series in the paranormal realm, then hopped to sci/fi fantasy with my Rising Trilogy. After that I tried my hand at contemporary romance with Captivate and wrote an inspirational romance, In Your Embrace. My two newest ventures are delving into mythology with my co-written banshee novel, Netherworld and my first horror zombiesque novel, Wither due out for Halloween. Not yet, but if I think of one I’m sure I’ll jump to that one next! Of the 12 books that I’ve written so far, only one was fully plotted out. Typically I know a beginning and the end but the middle is up for grabs. And by grabs I mean the characters steal away my control and I’m just flailing helplessly after them. They lead the story. I just relay it. I’m totally a computer person. I can’t begin to tell you how many times I’ve lost notebooks in my house. I have dozens of them in pretty much every room of the house for when a new idea hits me. Then I lose said notebook and tear apart my house in search of it. It really depends on what the book is. Typically I do basic research on the location. I try to keep it as legit as I can so that people living in these places wont email me with a “what the heck. That is so not in my town.” For other books I’ve had to do extensive research. For my Immortal Rose books I wrote from 1600’s Transylvania and had to learn about the country at that time, the wars going on, the clothing, the major events. For my horror novel, Wither, I did a lot of digging into science. As a professed NON science lover that was hard but I loved the premise of the book so much it was worth it to me. NO! I can’t have any sound. Literally. I wear ear plugs to keep even the sound of the tapping keys out. I know…I’m weird. I love to hang out with my husband and son. We travel a lot, lounge by the pool, go golfing, play pool. Just be a family. Getting emails from readers is always a highlight for any author, but when you get a message from a teen that you’ve inspired to either start reading or grab a pen and craft their own stories, that’s the best feeling. I write because I love to do it. If I can allow one person to escape reality even for a few hours then I’ve accomplished my first goal. If I can encourage a future writer, all the better. Michelle Monique has created most of my covers. She is brilliantly talented! 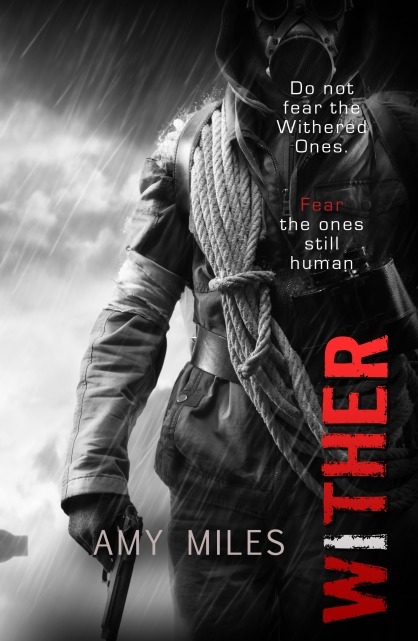 My newest novel, Wither is the darkest book I’ve ever written. It is my take on the zombie craze. To be honest, zombies freak me out! Truly. I have nightmares about them, but I had several people begging me to write my own take on the genre so I figured I’ve give it a go. In doing so I knew that I had two rules: 1. I cant have then mindless eating machines. 2. I can’t kill kids. With that in mind the idea for Wither was born. A point of view that twists the enemy around. What if its not the zombies we have to fear, but the humans instead. Or more specifically human nature. I’m a HUGE James Dashner fan. Love his Maze Runner series so I’d love to meet him in person and pick his brain. Books are rarely better in movies, but I did love the Harry Potter series on the big screen. The Hobbit/Lord of the Rings has been brilliantly done. The first chapter. I NEED action. If you can’t grip me in the first chapter I’m done. There are some books that I’ve forced myself to continue reading because people swore that it would get better but I believe a book should start off strong. Nope. It’s gone. There are far too many great books out there for me to discover so why waste my time on one that’s not my cup of tea? I predominately read what I love to write: paranormal, fantasy, sci-fi, dystopian, urban fantasy and mythology. I will occasionally pick up something not in those realms but those are my go to. I prefer an old fashioned book to an ereader, but I do love carrying hundreds of books with ease. It’s a toss up. The Walking Dead, Elementary, Game of Thrones, Once Upon a Time, X-Files…seeing a pattern here? Hands down my biggest nemesis are cupcakes! White cake, white gooey sweet frosting. Heaven in a little cup! I want to tour Italy and Greece. I’ve been trying to get that trip arranged for the past two years but work just keeps getting in the way. But in 2015 I get to mark one of my bucket list locations off by going to Australia for 3 weeks for a book signing. I’m wicked excited about that! This entry was tagged amazon, art, author, Author Blogs, Author Interview, Author Interviews, authors, blogging, book, Book Bloggers, Book Blogging, Book Giveaways, book review, book reviews, books, ebook, ebooks, Fiction, horror, independent author, independent authors, independent writer, independent writers, indie author, Indie Author Blogs, indie authors, Indie Writer, Indie Writers, Interviews, kindle, kindle fire, new book release, New books, nook, novel, novels. Bookmark the permalink. I absolutely love young adult zombie books. My favorite kind are ones that intertwine love into the mix. I’d love to win this book so that I could sink my teeth into it! I saw the book trailer and absolutely loved it!